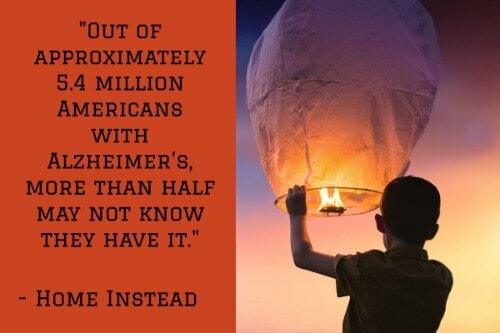 While we understand more about Alzheimer’s disease today than ever before, there’s still much we don’t know about it. 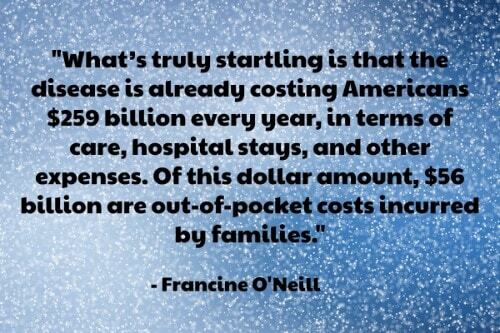 More research is still needed to provide answers that can help to prevent, slow, or cure the disease. 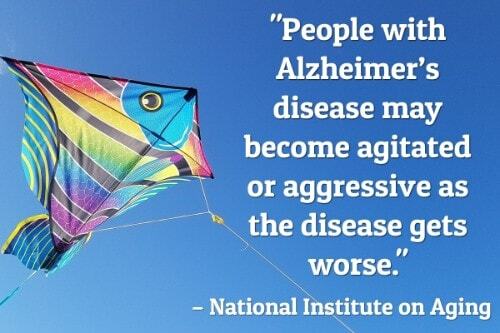 What we do know is that Alzheimer’s disease is becoming more prevalent by the day, as are the number of family caregivers providing unpaid care to a loved one with the disease. Alzheimer’s disease is a disease that impacts the entire family, from spouses to adult children, grandchildren, siblings, and friends. 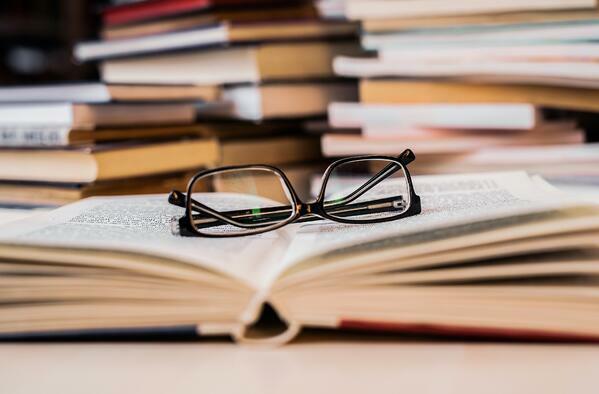 We’ve put together this guide to help you gain a better understanding of Alzheimer’s disease and what researchers have learned about possible causes, risk factors, prevention, and the disease’s far-reaching impacts on both physical and emotional health. 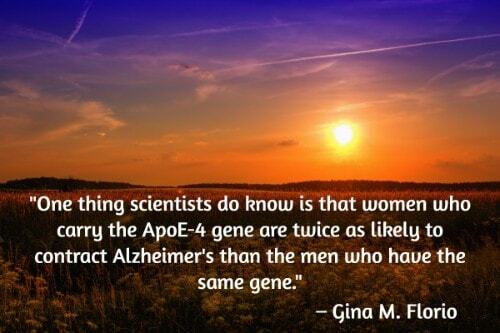 Women comprise three out of every five people diagnosed with Alzheimer’s disease. “As if we don't have enough health issues to worry about, three out of every five Americans living with Alzheimer's are women, and females over the age of 60 are twice as likely to be diagnosed with this disease than breast cancer." But why? 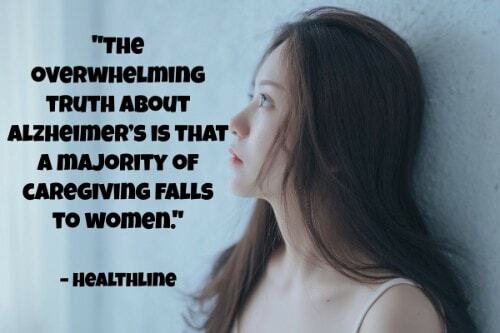 “Maria Carrillo, chief science officer for the Alzheimer's Association, told the Huffington Post that there are plenty of ‘biological questions pointing to increased risk in women." She said there's no doubt that the issue needs to be explored more by science. It's hard to know where to start looking, though, as there are so many relevant factors, including the fact that women simply live longer. While genetics isn’t a definitive predictor of Alzheimer’s disease, scientists have discovered a link between the ages of parents and children related to the onset of the disease. 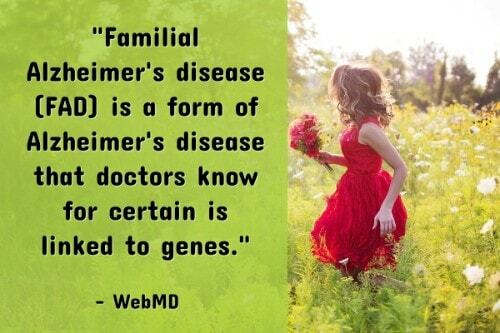 “Much is being discovered about the genetic origins of Alzheimer's disease, but it is still considered to be caused by a combination of genetic and environmental factors, and generally not a primarily heritable condition. A new study is suggesting the genetic impact of the disease could be more significant than previously thought, finding a strong link between the ages of parents and children for the onset of the disease." 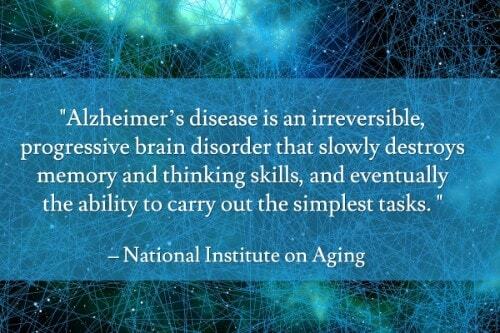 No definitive cause has been identified for other types Alzheimer’s disease. “Some studies have shown evidence that poor sleeping habits may cause plaques to form, but it’s unclear whether sleep deprivation causes Alzheimer’s or is simply a side effect of it. 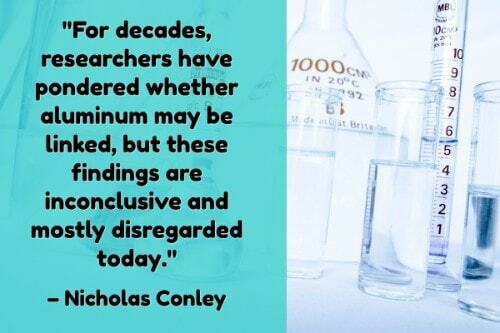 For decades, researchers have pondered whether aluminum may be linked, but these findings are inconclusive and mostly disregarded today. Just recently, obesity during midlife—and the health problems that arise from the standard obese lifestyle—were potentially linked to an earlier onset of Alzheimer’s. And of course, there is always genetics." 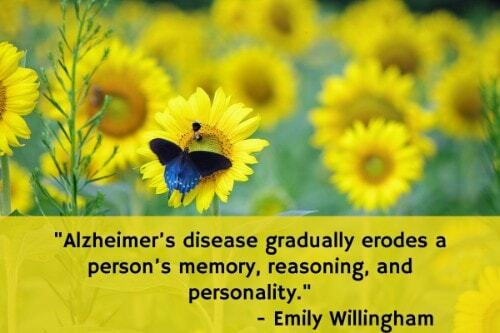 People with Alzheimer’s disease almost always have another chronic health condition. 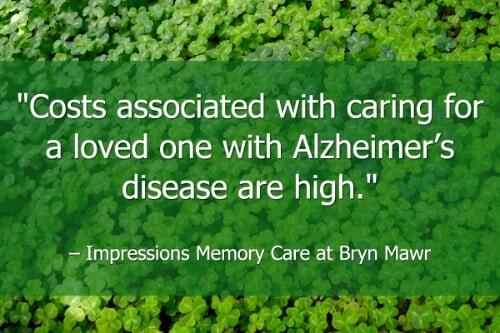 “The majority of those who experience the effects of Alzheimer's disease are diagnosed with another serious medical condition. 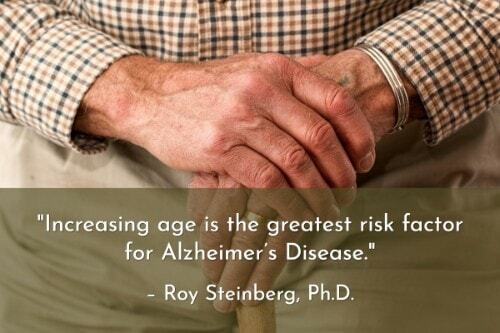 According to U.S. News and World Report, approximately 60 percent of Alzheimer's patients also have high blood pressure, 26 percent have coronary heart disease, 23 percent have diabetes and 18 percent experience osteoporosis." Healthline explained that these illness[es] may even trigger the onset of the disease. A recent clinical trial showed that aggressive treatment of high blood pressure may lower Alzheimer’s risk. 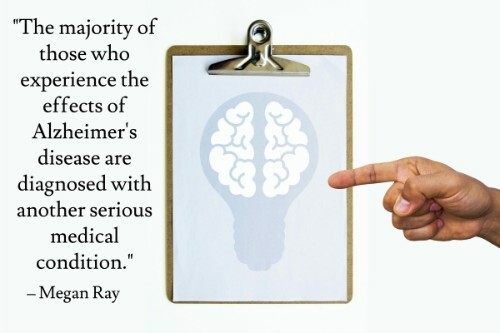 “For the first time, a large, randomized clinical trial has demonstrated a significant reduction in the risk for developing cognitive decline and dementia. The new research results, announced today at the Alzheimer’s Association International Conference (AAIC), show aggressive treatment of high blood pressure (targeting a systolic blood pressure goal of less than 120 mm Hg) resulting in fewer new cases of mild cognitive impairment (slight, but noticeable and measurable decline in cognitive abilities that is not severe enough to interfere with daily life) and dementia." 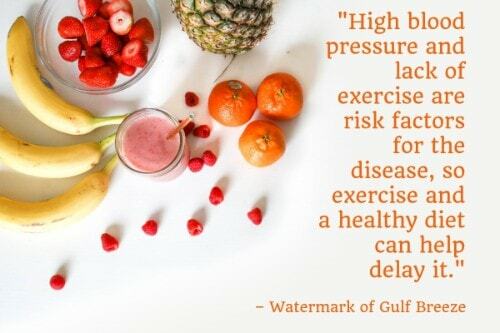 Exercising regularly is one of the best ways to lower your risk. 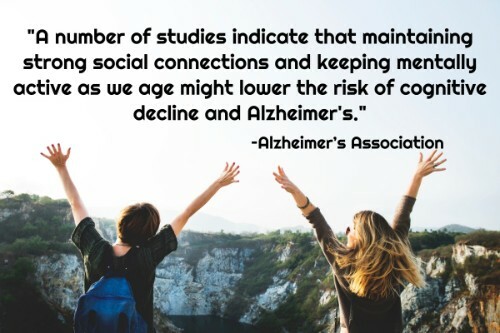 “According to the Alzheimer’s Research & Prevention Foundation, regular physical exercise can reduce your risk of developing Alzheimer’s disease by up to 50 percent. What’s more, exercise can also slow further deterioration in those who have already started to develop cognitive problems. 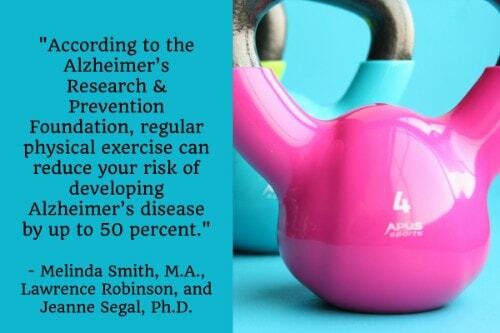 Exercise protects against Alzheimer’s and other types of dementia by stimulating the brain’s ability to maintain old connections as well as make new ones." 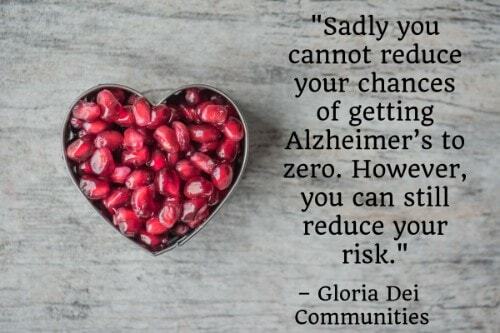 Eating the right diet can help to lower Alzheimer’s risk. 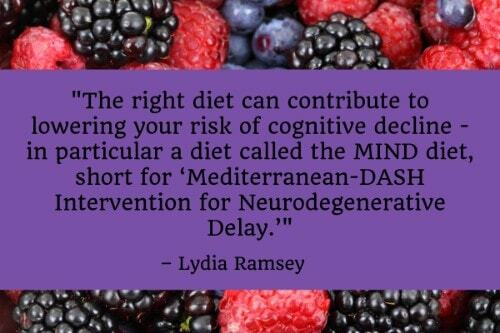 “The right diet can contribute to lowering your risk of cognitive decline - in particular a diet called the MIND diet, short for ‘Mediterranean-DASH Intervention for Neurodegenerative Delay.’ It's a hybrid version of the Mediterranean and DASH diets, focusing on the aspects of those diets that have to do with the brain." “Berries, olive oil, nuts, and dark, leafy greens are staples of the diet, which was designed based on large-scale studies of cognitive decline and ranked third on US News and World Report's annual best diet list. Loved ones often have feelings of guilt. 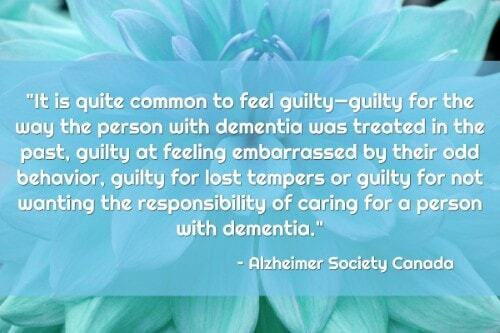 “It is quite common to feel guilty—guilty for the way the person with dementia was treated in the past, guilty at feeling embarrassed by their odd behavior, guilty for lost tempers or guilty for not wanting the responsibility of caring for a person with dementia." Spouses may find themselves taking on a new role in the relationship. “You may find yourself taking on a new role in your relationship as your partner's memory declines. The person with Alzheimer's disease may no longer be able to perform certain tasks, such as balancing the checkbook, doing the taxes, handling financial and legal matters and doing certain household chores. Making important decisions on your own may feel overwhelming." Acceptance may be the most difficult challenge after a diagnosis, but as the disease progresses, loved ones will need to take over tasks their family member can no longer keep up with. “In the beginning, it may be hard to either accept the diagnoses of a loved one with this disease, or it may be hard to pin point this and pin down a medical diagnosis. During which time, your family member may start to experience an array of symptoms, it may be really hard to accept or understand what the right or supportive measure to take is in order to give the right kind of care to your loved one." 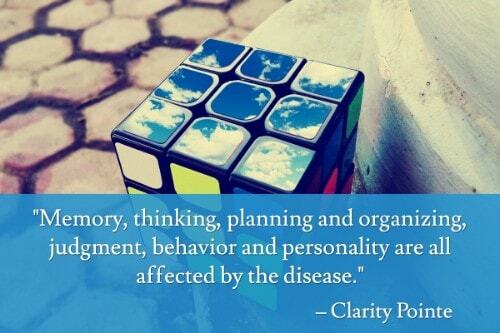 It’s often difficult for loved ones not to internalize behaviors that are symptoms of the disease. 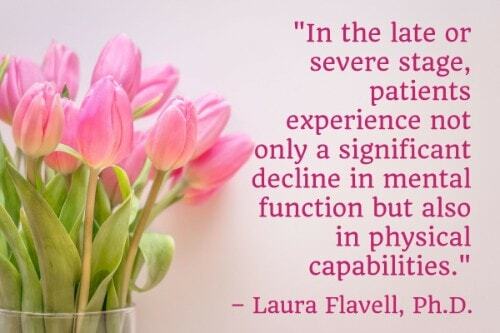 “Receiving the diagnosis is traumatic for everyone. 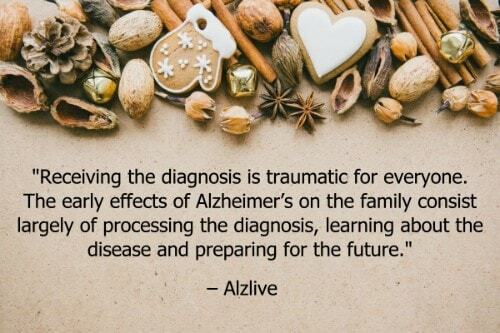 The early effects of Alzheimer’s on the family consist largely of processing the diagnosis, learning about the disease and preparing for the future." 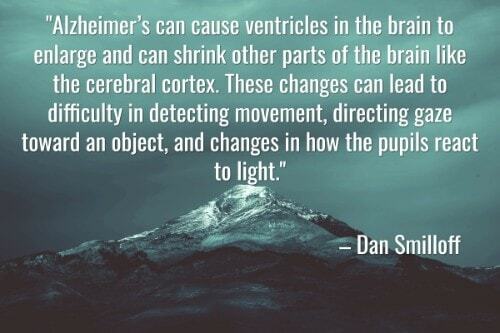 Alzheimer’s disease has a significant effect on the daily life of a family caregiver. “For the primary caregiver, Alzheimer’s disease may have as great an impact on their daily life as it does on the loved one they care for. 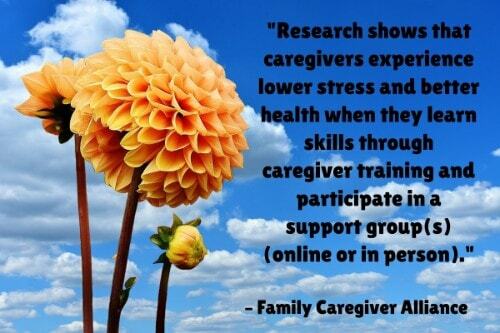 The role of caregiver not only affects how the person spends their time, but also their overall health and well-being. 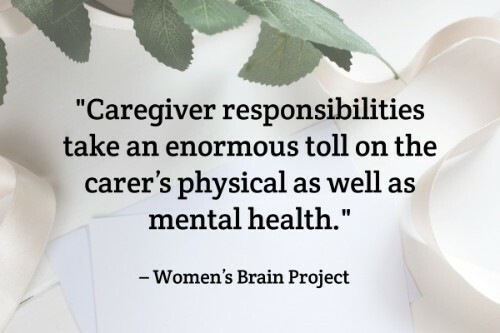 Full-time caregivers often suffer from stress, depression, high-blood pressure and other physical ailments brought on by the exertion and exhaustion of providing constant care unless they take good care of their own mental and physical health." Many caregivers assist loved ones with medication and other treatments, in addition to household and personal care tasks. “In addition to taking on household chores, shopping, transportation, and personal care, 37% of caregivers are involved in giving medications, injections, and medical treatments to the person they are providing care to. Of these caregivers, 77% report needing to ask for advice about the medications and medical treatments, and the person they usually turn to is their healthcare provider. While caregivers may talk to the healthcare provider about their loved one's health, they often don't talk about their own. 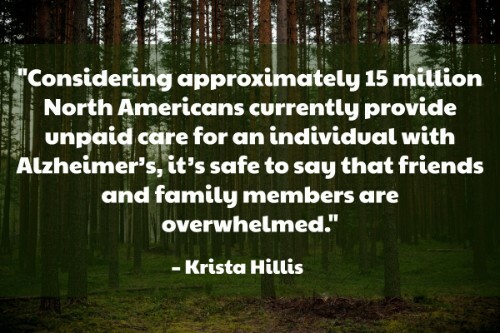 Caregivers are a population at increased risk of illness and death, yet these health risks are often ignored."